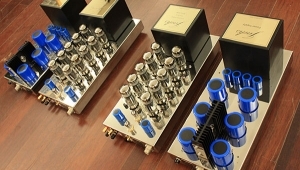 Manley also knows sound, and spends much of her professional life catering to an even pickier crowd than us hi-fi hounds: Manley Labs is a major presence in the pro audio and recording markets. The Manley Labs VoxBox microphone preamp and vocal processor, Slam limiter and mike preamp, and Massive Passive stereo EQ are but a few of the highly regarded Manley professional products found in top studios around the world. Not surprisingly, tubes are a central part of each of them. 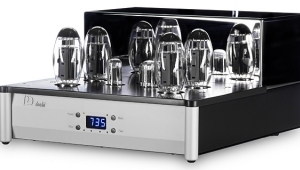 While Manley Labs could happily perk along solely as a premier pro-audio company, EveAnna Manley wants equally great sound at home, and since she's the boss, there is also a complete line of Manley Labs audio gear. 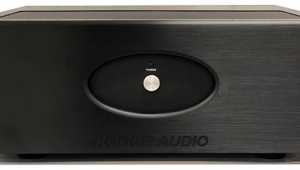 From the highly practical Shrimp preamp and Stingray integrated all the way up to the mighty Steelhead phono stage and the 250 Neo-Classic, there's a Manley component for almost every system and budget. And every one is tubed. 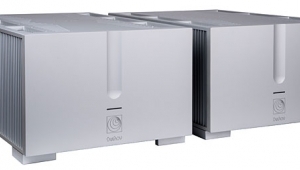 The 250 Neo-Classic is a stem-to-stern update and revision of the Reference 250 amplifier, reviewed in Stereophile in May 1996 (Vol.19 No.5). 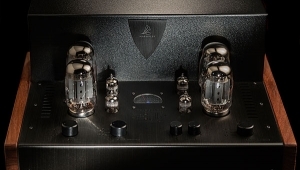 Its circuitry is as straightforward and rugged as a V-twin motorcycle engine, devoid of anything extraneous: the input stage is a paralleled dual-triode 12AT7WA from EI in Yugoslavia. The 12AT7WA is coupled to the driver/phase-splitter stage by a polypropylene rolled film-and-foil capacitor. 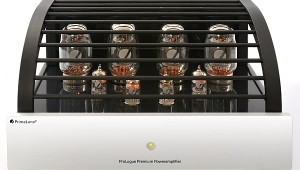 There, two dual-triode 6414s (or 12BH7As, if available) are set up in a long-tailed splitter configuration—but the 250 parallels the tube stages, which, according to Manley, "yields more gain by doubling the transconductance of the tube, [resulting] in higher headroom with lower noise." The signal's positive and negative phases then head for the output stage, where 10 Sovtek EL34G/Electro-Harmonix EL34EH tubes provide the electromotive force (footnote 1). 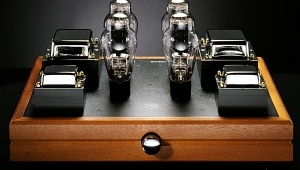 The output tubes are biased to 27mA at idle, and bias adjustments for each tube are accessed behind the amp's nameplate, which has a diagram and adjustment instructions etched on its back side. Global negative feedback is limited to a modest 12dB. While Manley will happily talk about the circuitry of the 250, she uncharacteristically clams up when it comes to the specially designed output transformer. Unlike most amp builders, Manley Labs manufactures all of its transformers in-house, at its Manley Magnetics division. 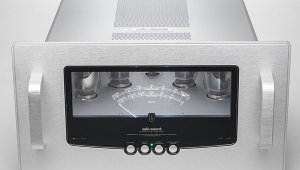 The 250's output transformer embodies, on a much larger scale, advances in transformer design made while developing the Stingray integrated amp. 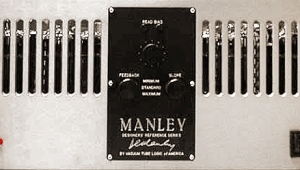 Manley asserts that it is this transformer that is largely responsible for the amp's sound, and is the primary contributor to the 250's bass performance. 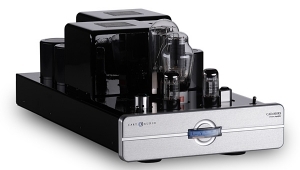 A particularly cool feature of the Neo-Classic is its ability to operate in both triode and tetrode modes. 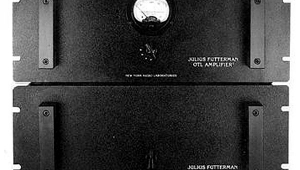 In tetrode mode, the 250 delivers 250W into a 5 ohm load and, with the flick of a front-panel switch, 100W of triode power are available (footnote 2). 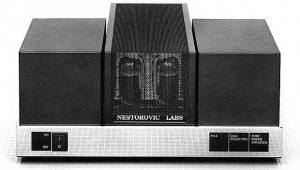 In tetrode mode, the screen grids of the output tubes are attached to the center tap of the output transformer's primary windings. Switching to triode mode hooks up the screen grids to the anodes, electrically rendering the EL34 a three-element tube. 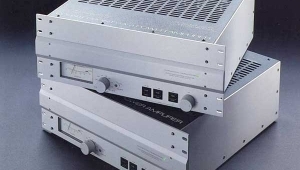 The power supply is proportionately beefy, uses high-speed solid-state rectifiers, and provides 320 joules of power storage for the amp's B+ voltage rail. The 250's thirst for electricity mandates a two-stage soft startup: the mains switch puts the amp into Standby/Ever Warm. At this point, the primaries see only half of the full-power-on voltages; throwing the Operate switch brings the amp up to its full operating voltages. Flick off the Input Mute switch and you're ready to go. The handily slanted back panel provides a stout set of WBT speaker posts, access to fuses, and a switch to select between the single-ended and transformer-coupled balanced inputs. I listened to the Manley 250 Neo-Classics on and off for several months to acclimate myself to their character within the context of my system, then settled down to the serious business of review listening. 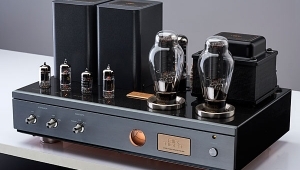 The 250s sat atop shot-loaded Grand Prix Audio Monaco amplifier stands and were hooked up with Wireworld Gold Eclipse 3+ interconnects and biwire speaker cables. 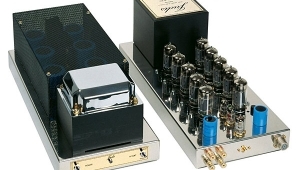 For triode-mode listening I also used my efficient, sweet-tempered Silverline Sonatas as an alternate reference to my usual Apogee Duetta Signatures. As the 250s particularly liked the CPCC Top Gun and Wireworld Silver Electra 3+ power cords, I used them for all evaluative listening.